The story of how Marilyn helped Ella Fitzgerald to secure a lucrative nightclub engagement is heart-warming (albeit much-mythologised.) 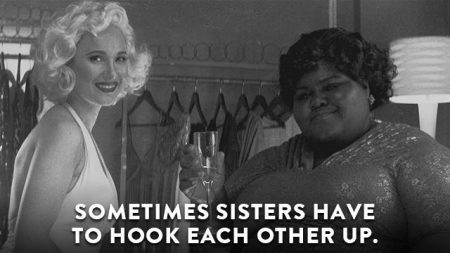 In the latest episode of Comedy Central’s Drunk History the tale is retold, starring Juno Temple (who has described Marilyn as ‘a huge inspiration‘) and Gabourey Sidibe. Kayla Kumari Upadhyaya has reviewed the segment for the AV Club website.